gitg is a git repository viewer targeting gtk+/GNOME. gitg is a git repository viewer targeting gtk+/GNOME. One of its main objectives is to provide a more unified user experience for git frontends across multiple desktops. It does this not be writing a cross-platform application, but by close collaboration with similar clients for other operating systems (like GitX for OS X). gitg was added by anthraxx in Jan 2010 and the latest update was made in Apr 2019. The list of alternatives was updated Nov 2018 There is a history of all activites on gitg in our Activity Log. It's possible to update the information on gitg or report it as discontinued, duplicated or spam. Alternatives to gitg for Mac, Windows, Linux, Self-Hosted, Web and more. Filter by license to discover only free or Open Source alternatives. This list contains a total of 25+ apps similar to gitg. 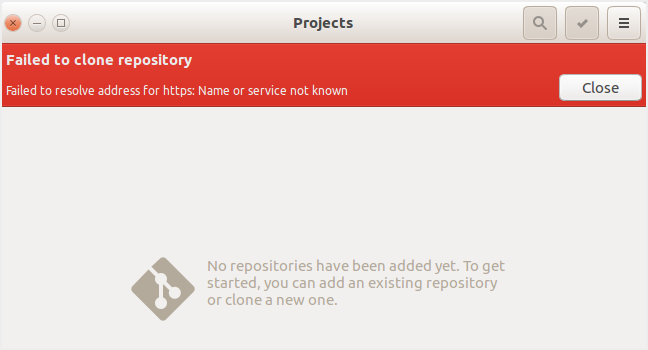 Cannot clone a github.com repo for no reason while other git client can do so on my Ubuntu Desktop 16 laptop.